the center of a flower…a pansy? Sure, maybe a pansy, but also maybe an iris? Beautiful necklace, Janet! 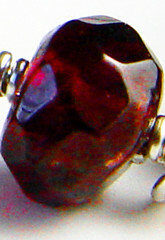 Garnet is my birthstone. Laura: Peach pit sitting among other peach pits. Also, Laura would like you to know that her birthstone is Garnet. 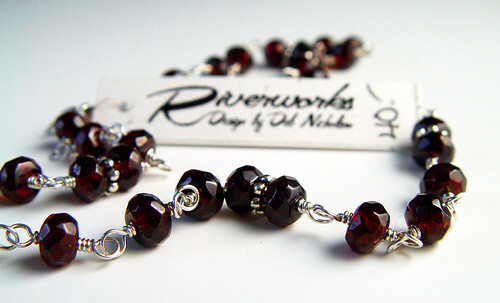 Gorgeous beads…. this week? flower petal? potato chip? Yes the center of a pansy! mmm… did someone say potato chips? Wha?! Sorry… ADD kicking in. Pansy is my final answer too! A pansy or an iris petal.. either way, gorgeous! That is the eye of passionate purple pansy! LOVE the necklace! That’s part of a pansy!! !